This iMac is in perfect condition, itis from our Affordable Mac Certified Refurbished range. We only pick the best quality Macs for this grading The screen is perfect. It comes with Generic Wireless Keyboard and Mouse. 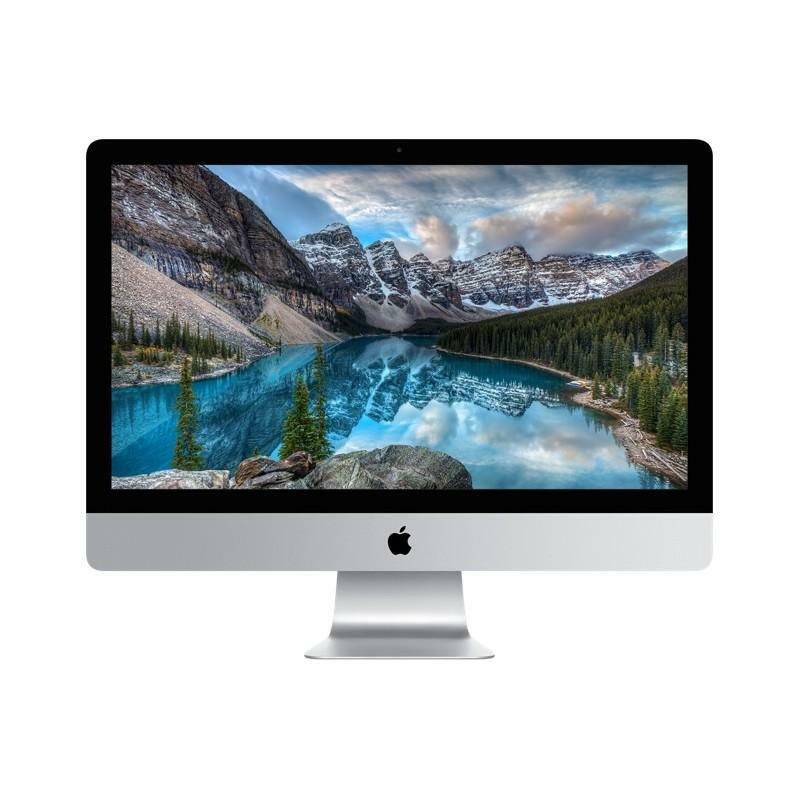 The iMac “Core i5” 2.7 27-Inch Aluminum (Mid-2011) is powered by a Quad Core 2.7 GHz Intel “Core i5” I5-2500S (Sandy Bridge) processor with a dedicated 256k level 2 cache for each core and a 6 MB shared level 3 cache. In lieu of a system bus, it has a “Direct Media Interface” (DMI) that “connects between the processor and chipset” at 5 GT/s. By default, it is configured with 4 GB of RAM (1333 MHz PC3-10600 DDR3 SDRAM), a 1 TB (7200 RPM) hard drive, a vertically-mounted slot-loading DVD�R DL “SuperDrive”, and AMD Radeon HD 6770M graphics with 512 MB of dedicated GDDR5 memory. We have upgraded it to 8GB Further Upgrades are available. It also has a built-in “FaceTime HD” video camera and built-in stereo speakers underneath the 27″ glossy 16:9 LED-backlit TFT Active Matrix LCD (2560×1440 native) display “with IPS technology”. Connectivity includes four USB 2.0 ports, a Firewire “800” port, built-in AirPort Extreme, Gigabit Ethernet, and an SDXC card slot as well as dual “Thunderbolt” ports that are backwards compatible with Mini DisplayPort and, likewise, each support an external display up to 30″ (2560×1600). Thunderbolt also supports other peripherals that use the Thunderbolt standard which provides up to 10 Gbps of bandwidth in both directions. Externally, the “Mid-2011” iMac line uses the same “edge-to-edge” glass design and “seamless all aluminum enclosure” as the “Mid-2010” models that came before them. Internally, however, the “Mid-2011” line is equipped with faster processors and faster graphics processors, as well as the aforementioned external improvements of a higher resolution (and wider angle) webcam and Thunderbolt.